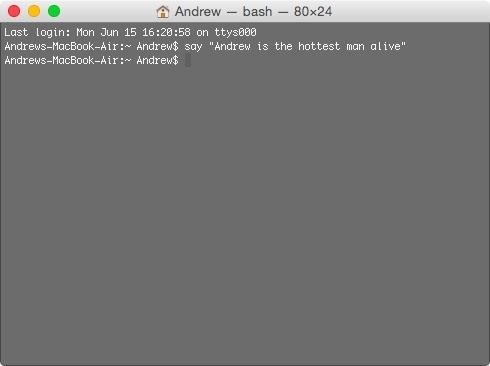 Now, I'm not saying that learning Terminal commands is easy, but using them definitely is. I've compiled a list of some basic commands that will get you started on your journey to mastering Mac OS X, whether it's Mavericks, Yosemite, or even an older system like Lion. I've run all of these commands on my MacBook running Yosemite, but if you are an early El Capitan adopter, your mileage may vary due to the fact that it's an early beta still. Macs may be reliable, but they have been known to freeze up on occasion. If you'd rather not deal with having to manually force a shutdown, you can use this Terminal command to make OS X instantly reboot on a freeze. 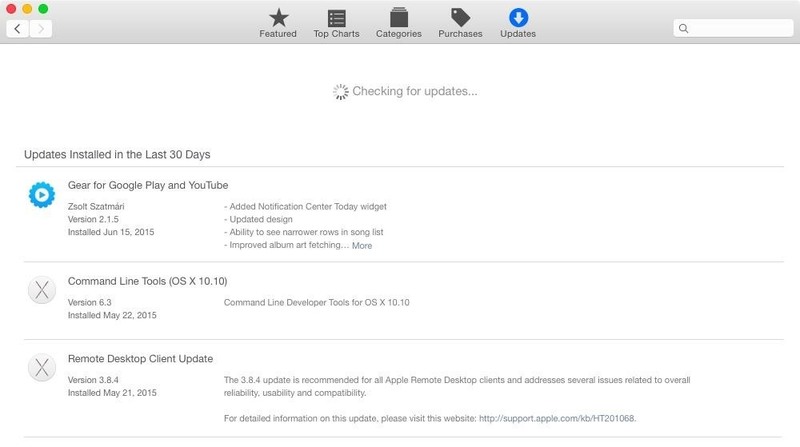 By default, the Mac App Store checks for updates on a weekly basis, but if you'd rather get app updates as soon as possible, you can use this command to have it check daily. If you don't like that screenshots are saved as PNG files on your Mac, you can switch it to either BMP, GIF, JPG, PDF, or TIFF instead. Just be sure to change the "png" portion of the below command to your desired file extension. Don't like screenshots cluttering up your desktop? You can change the save location using the following command. 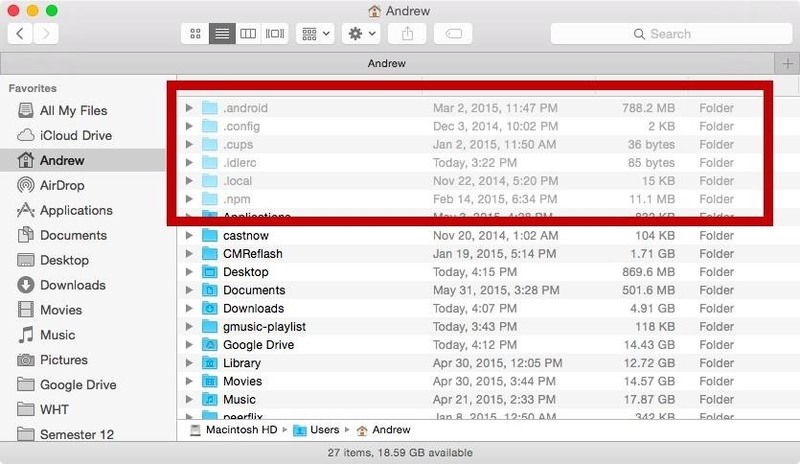 Just swap out the "/folderlocation" part with the full location of the folder you want. More details here. Note: see the end of this guide for instructions on using folder locations with spaces in their name. Unlike in Windows, there is no option to view hidden files and folders in Mac OS X, unless you know the exact location. But by using this Terminal command, you can make them all visible. To hide them again, change "true" to "false." To see the changes appear immediately, make sure to hold "Alt" on your keyboard, right-click on Finder in your Dock, then click on "Relaunch." Now let's try it with a file. The following one will hide the Secrets folder in my Documents. Note: see the end of this guide for instructions on using file and folder locations with spaces in their name. Just change them back to "false" if you want to revert back. If you like to live life on the edge and not worry about accidentally deleting a file that you actually put in the Trash, you can use the command below to disable that pop-up warning. If it's a folder you want to get rid of, use -rf after the srm part. Click here to see more options for securely erasing files/folders. The Mail app does not come with a hotkey to send an email since the Enter key is only set to insert a line break. 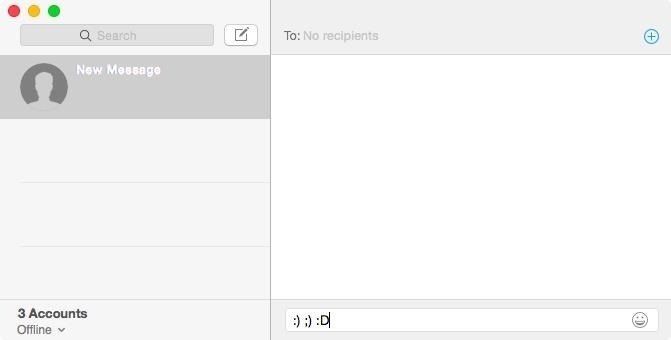 But by using the following command, you'll create a new keyboard shortcut (Command + Enter) for sending mail. defaults write com.apple.mail NSUserKeyEquivalents -dict-add "Send" -string "@\\U21a9? For those of you who like to live in the '90's state of mind, you can make it so that emoji no longer replaces traditional emoticons with this. 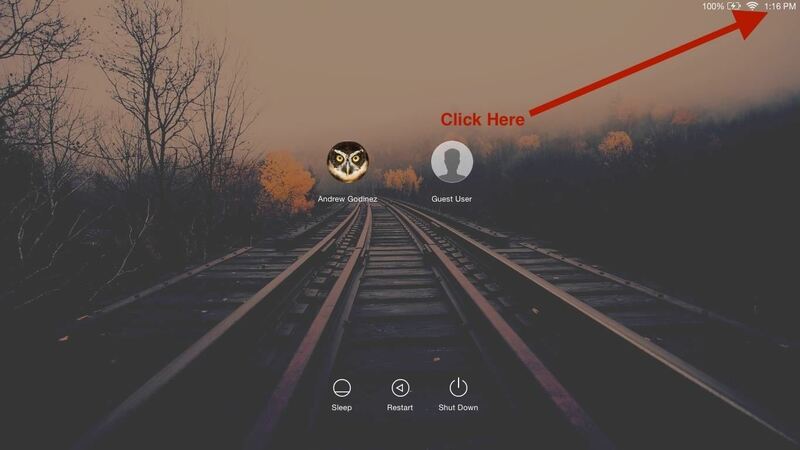 The login window doesn't reveal much information about your device, but if you'd like it to show some extra info, like your IP address and OS version, use this next command. The information appears when you click on the menu bar's clock and is displayed one at a time. This last Terminal command makes it so you have you own personal robot voice generator. All you have to do is enter "say" and add text inside quotes. What Are Your Favorite Terminal Commands? Have any other must-know Terminal commands that didn't make the list? Share them with us in the comment section below. For a GUI way to do this, check out free utility OnyX by Titanium Software. #3 changing screenshots to PDF instead of PNG....AWESOME!!!!!!!!!!!! What a great time saver!!! THANKS!!!!!! Or just learn Linux. Same thing same outcome. Yeah, except this is for people who are using OS X, not Linux. If they wanted to learn Linux, they would install a Linux OS. Same outcome maybe, but not the same mindset. HELP I tried #11, and now my Messaging app will not open. How do I undo the command? Or how do I get the app to open again? I tried switching the false to a true, and it did not help. Do you get an error or does the app force close?